With only the most original ideas and news, it comes to your mailbox every month... No filler, just original and valuable information. All subscribers will also get access to all back issues, so you won't miss anything. 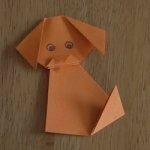 In the July-August issue I wrote about two simple origami animals a dog and a rabbit. 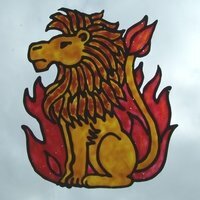 I also painted two zodiac symbol patterns using windowcolor, the cancer and the lion. Note: Your email will never be shared with anyone. 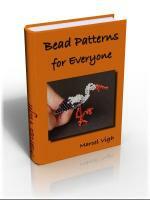 I promise to use it only to send you the issues of my Crafting Magazine.